This entry was posted in Recipes, Uncategorized and tagged almonds, benefits, chia seeds, coconut oil, dairy free, egg free, Food, gluten free, Goji, health, health benefits, homemade, Lauric Acid, Maple syrup, medjool, minerals, miracle, unprocessed, Vitamin, vitamins, Walnut, well-being. Bookmark the permalink. These look amazing!!! I guess I know what I’m making this weekend. Thanks!!! They are all my favorite foods, so I will definitely be trying out this recipe! 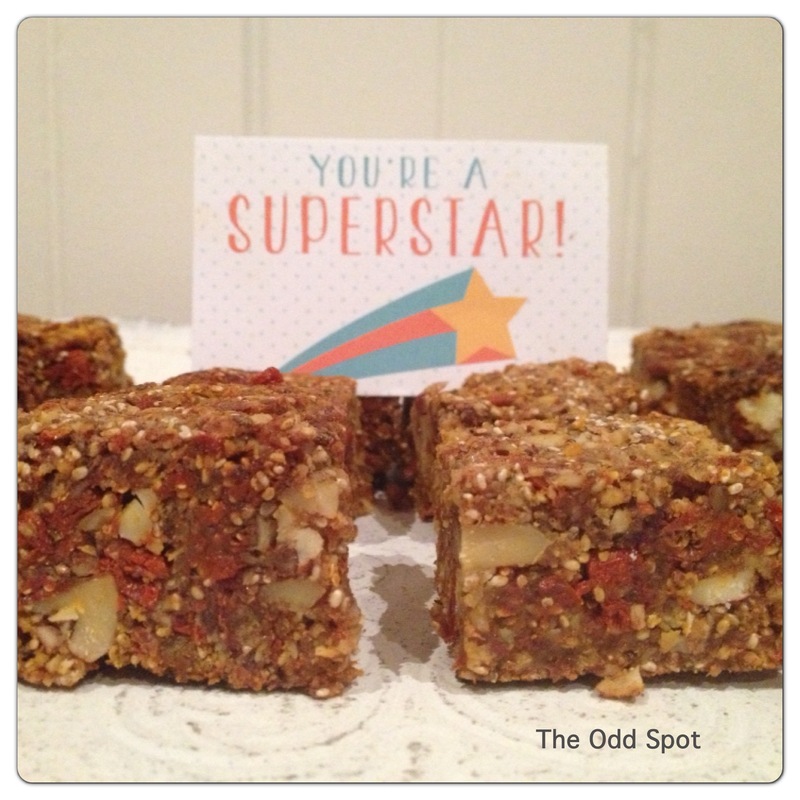 I broke whole30 rules and had a square today…yes it was worth it, they are delicious. I felt so good eating it because of the nutrients I was giving my body! Enjoy them! I thought today that I could share a post from The Odd Spot. It really gives good informations on different superfoods. I find it is an interesting blog that I decided to follow. I hope you will enjoy it too.